The Pit & Quarry Hall of Fame induction ceremony was held March 3 in Las Vegas immediately following NSSGA’s Chairman’s Reception. The black-tie event began with a cocktail reception, which was followed by dinner and the award ceremony. 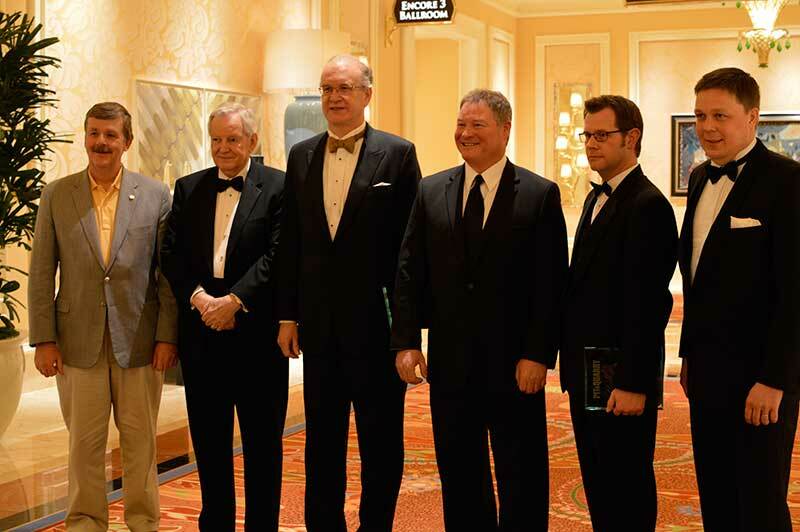 Six industry leaders were inducted into Pit & Quarry‘s second Hall of Fame event. Publisher Rob Fulop started off the festivities as he welcomed guests, many of whom had close personal and professional ties to the honorees. Editor-in-Chief Darren Constantino introduced each inductees as well as a short video that illustrated their illustrious careers. Astec Industries Inc.’s J. Don Brock was on hand to graciously accept his award. Bernie Grove, known for his work with the National Stone Association, was unable to attend due to travel delays caused by snowstorms on the East Coast. Accepting on his behalf was Kim Snyder, whom Grove mentored. Collecting the award for Chuck Lien was son Pete Lien, president of Pete Lien & Sons, who related a humorous his speech his father gave in the past and most likely would give again. Bruno Nordberg was represented by Tommie Lehtonen, president, crushing and screening equipment, Metso, the modern-day precursor to the company he launched in the 1880s. The honor for the Rogers Group’s Ralph was accepted by company Chairman Ben Rechter. Also on hand were honorees from Pit & Quarry’s inaugural class of inductees, LeRoy Hagenbuch, Philippi-Hagenbuch and Paul Mellott, Mellott Company.